Crystal Head Vodka is a Vodka Brand created by Dan Aykroyd (Canadian Actor and Comedian) and John Alexander (Artist) in 2007. I first encountered the spirit in 2011 at Edmonton’s Rocky Mountain Food and Wine Festival where a pleasant woman at the Crystal Head Vodka booth went to great lengths describing this quadruple distilled premium Vodka, filtered with real diamond filters was produced using only the freshest water found in Newfoundland. She gave a great presentation; but I’ll be honest, she already had my full attention with the crystal skull decanter she was showed me. I reviewed this spirit seven years ago, and it has been one of my more controversial reviews. 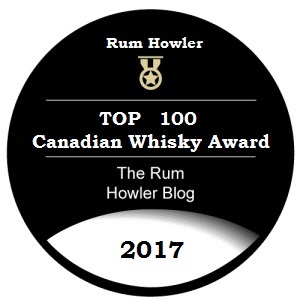 At that time, I found the product wanting, suffering from corners cut in the presentation (the cork seal fell apart when Dennis and I opened it for the first time) and a flavour and finish which seemed more like an economy vodka than a premium product. However, recently Crystal Head Vodka has won numerous awards including a Gold Medal at the prestigious 2017 San Francisco World Spirits Competition. Given the time that has passed since my original review, and my belief that products do indeed change (and possibly improve) over time, I have decided that a new review is indeed in order. 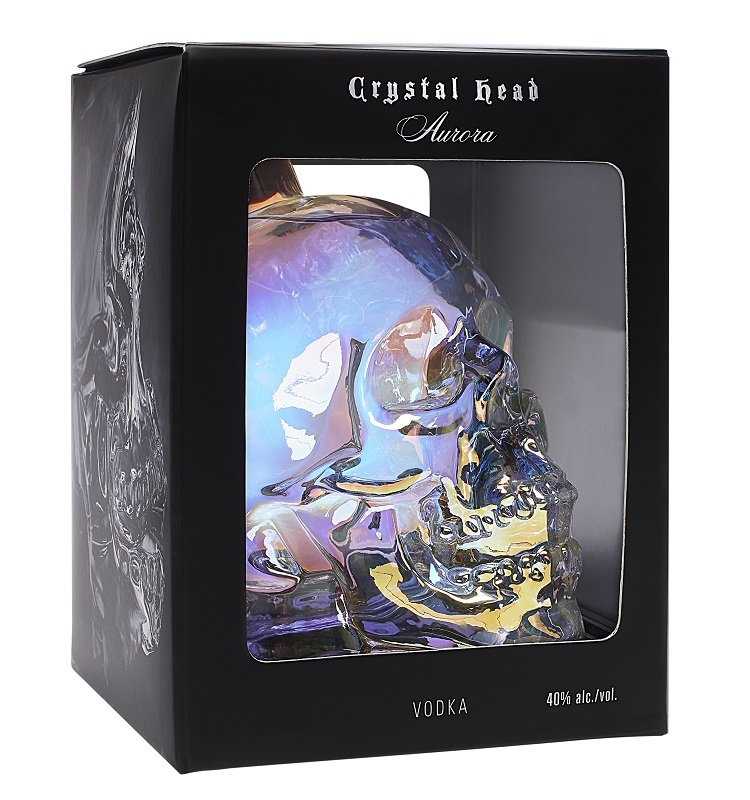 The original Crystal Skull decanter which houses the premium vodka was designed by artist, John Alexander and is produced by Milan-based glass-manufacturer Bruni Glass. The design is said to have been inspired by legendary ancient Mesoamerican crystal skulls (which were popularized in 2008 with the release of the Indiana Jones action-adventure sequel Indiana Jones and the Kingdom of the Crystal Skull). These crystal skulls were said to have originated in the Americas carved from crystal quartz in ancient times. However, recent analyses of some of these skulls by both the British Museum and the Smithsonian Institute has revealed that he skulls have a more recent origin. They were almost certainly produced by European Craftsman in the mid to late 19th century, not in ancient times by Mesoamerican cultures. Although the mythos of the Crystal Skulls has been explained, the crystal skull decanters themselves are tremendously popular. Almost everybody I know who has purchased a bottle of the Crystal Head Vodka has kept the decanter afterwards, many of my friends use them as Halloween props filled with some sort of colourful liquid suitable for the holiday. I plan to keep mine as well. They are just plain cool. Prior to my tasting session, the hours of chilling on my front deck ensured the vodka had been chilled to about 1 degree Celsius. At this cold temperature the Crystal Head Vodka is slightly thickened. The aroma was clean with a little grain spice and light scents of lemon balsam and cornstarch. When I took my first sip I noticed the vodka carried more sweetness than the Aurora and the Sobieski. This is no doubt the influence of the Peaches and Cream corn. (Corn spirits typically carry more sweetness than wheat or rye spirits.) There is also a light mint-like flavour which accompanies the sweetness as well as grain spice and a bite of alcohol bite. As the spirit warmed, I noticed the lemon-like flavour increased and a light bitterness was present in the aftertaste. Almost every Vodka will break down like this as it warms, Crystal Head Vodka is tasting much better than I remember; and indeed, when I checked my score from my review seven years ago, my score in this section is much better.. I mentioned that the Crystal Head Vodka has improved and this is very apparent when I take a full swallow shot-style. A Cold shot brings a light sweetness across the palate and goes down smoothly with no unpleasant bitterness or metallic flavours in the aftertaste. As I let the spirit warm, I began to notice a lemony aftertaste in the swallow and just a hint of burn at 10 degrees Celsius. It was not until the spirit reached room temperature that the hint of burn and lemony tastes become a deterrent to my enjoyment. I am quite pleased as especially when served cold, Crystal Head Vodka is an excellent spirit for shots. While I was tasting the vodka, I had a variety of breads and crackers available; also some different types of sausage and cheese; some sour spinach dip for the bread; and a nice plate of salt and pepper chicken wings. In my opinion a good vodka should act as a plate cleanser between bites of food allowing you to enjoy the food and the vodka more thoroughly. When I sampled each of my vodka spirits with food, I think it would be fair to say that I was ambivalent towards the Crystal Head Vodka. I did not notice any real change in my enjoyment. The bread and spinach dip tasted just as well with or without the sip of Crystal Head beforehand. The same was true for the sausage and chicken wings. The food did not seem to affect my impression of the vodka either. When I checked my impressions from seven years ago, I notices that my feelings were similar. The vodka seems to be holding its character though. Some vodka spirits will begin to pick up unwanted flavours during this exercise. Crystal Head has not. The Cosmopolitan (according to the IBA (International Bartenders Association))is a cocktail made with Vodka Citron (lemon flavoured vodka), Cointreau (orange liqueur), Cranberry Juice, and freshly squeezed Lime Juice. The serving is by now means consistent, and if you order a Cosmo (as the bar drink is frequently referred to) you will most likely receive a variation on the recipe usually using non flavoured vodka and sweetened lime juice. 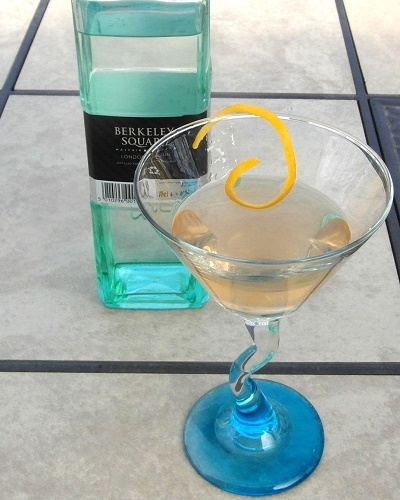 An orange peel garnish is also quite popular, (the IBA formulation states a lime slice garnish). Using Crystal Head Vodka and the other ingredients I had on hand, I constructed this Cosmopolitan as closely as I could to the IBA formulation. Another great cocktail is the Moscow Mule. Unfortunately I do not have copper mugs which are usually used to serve this mixed drink, but I find an old-fashioned glass works well too. Please remember that my aim is to help you find better spirits, not to help you consume more spirits! You may (loosely) interpret my score as follows.